By the year 2020, customer experiences are expected to overtake price and products as brand differentiators. It’s not hard to see that there is great value in excellent customer service. As a retailer or customer service focused business, you know the challenge and pressures of today’s consumers and the growing needs of meeting their demands. Consumers want the experience of customer service and are willing to pay more for it. With proper communication among team members, you will quickly see your service shine – and your sales numbers will reflect that. Two way radios have been proven as an effective option for increasing customer service abilities. Let’s take a look at how it can drive your business forward. About 96% of unhappy customers don’t complain, however 91% of those will simply leave and never come back to your store. As a manager, you are required to be thinking about and doing many things at once. In addition to hiring and training, you need to work with associates to determine their tasks, along with fulfill needs for paperwork and processing on a daily basis. As if that doesn’t keep you busy enough, you also field inquiries throughout the day from your associates based on customer inquiries. Two way radios allow you to answer those questions quickly, while not having to step away from the task at hand. The result is a win-win for all – manager and customer. Approximately 80 per cent of associates in retail say better in-store communication increases customer satisfaction. Not every associate is going to know the answer to questions posed to them throughout the work day. In fact, in large stores it may even be difficult for one associate to find another to answer consumer inquiries. With two way radios, you can easily (and professionally) find a member of a department or team member who can help with your requests. Additionally, if there are questions from associates that require management approval – whether it’s a return, or special discount, for example – employees are able to do so quickly. Customers don’t have the time to wait for answers, and might even leave your store if it takes too long. For this reason alone, two way radios add value to customer service. Around 82 per cent of shoppers say the customer service they receive is their number one priority for in-store experiences. When retailers and stores create engaging experiences for their consumers, they want to come back as repeat customers. Something as simple as quick turnaround on a question, or an added touch through staff communications can go a long way in driving that message of a happy customer. We know you put in long hours on the job, and that engaging customers is what keeps them coming back. 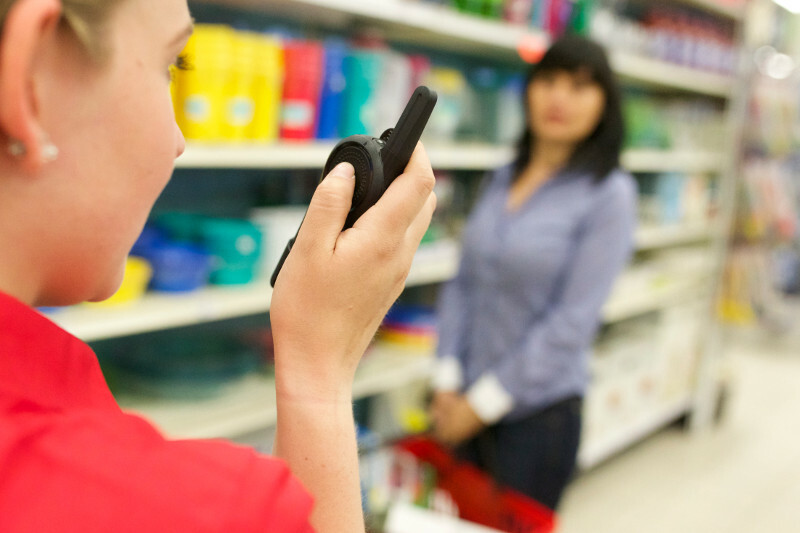 Regardless of whether you have a large retail operation or a small specialty store, you can count on Motorola’s two way radios to increase customer satisfaction, customer loyalty and your sales. Want to learn about what two way radios can do for you and your team? If you want to put the value on customer service in your business, we can help you figure out the options you need. With more than 30 years of experience in the two way radio business, Nova Communications has the knowledge and ability to work with you for the best results.